Bravo Pet Screens mesh are stronger than other manufactures. 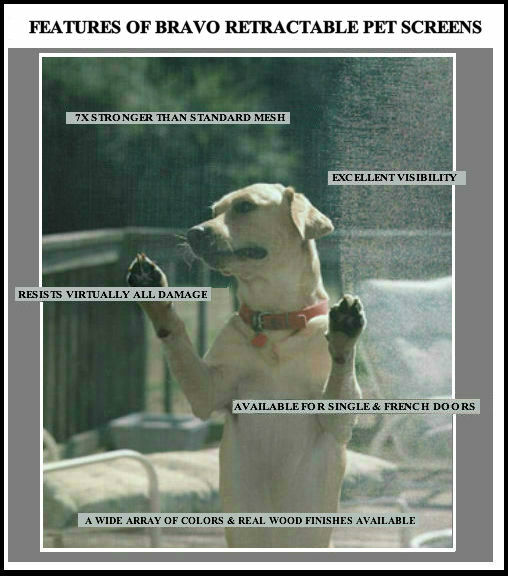 Bravo,s Retractable Screen door pet proof are ideal for those of us that have pets. Dogs and cats with their claws can scratch or tear at regular screening material. Yet, Bravo has the ultimate pet screen door. The fiberglass mesh is reinforced and 7 times stronger than standard fiberglass, giving you a retractable pet screen door that will not tear or rip. 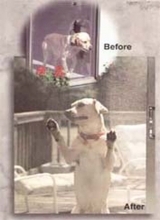 These Retractable Screen door pet proof are just like all our other retractable products, except that they have a more durable mesh that will protect against even the most tenacious of pets. Now you have no more worries and no added expenses from damaged screens. 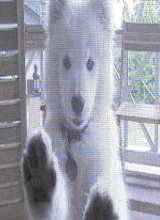 If you are looking for a retractable screen for your doors and have pets, think Bravo retractable pet proof screens.